DAVID BOWIE did it. Dudley Moore did it, Sir John Gielgud did it. They have all been narrators for the magical Peter and The Wolf, Prokofiev's story designed to introduce children to classical music and the instruments of the orchestra. 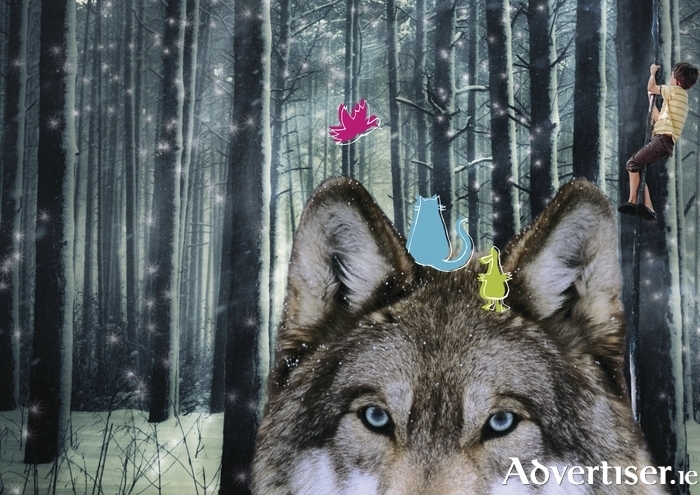 Peter and The Wolf will be coming to Galway as part of the Baboró International Arts Festival for Chilldren, but in a reimagined form by CoisCéim Dance Theatre as The Wolf and Peter, with this time the story being told through the eyes of the Wolf. Filled with dance and live music, this theatrical and fun adaptation by David Bolger will bring the classic characters Bird, Cat, Duck, Grandfather, Hunters, Peter, and of course the Wolf to life - and introduce children to contemporary dance. “I first heard Peter and The Wolf in school," says Bolger. "By allowing The Wolf to be the star, I want to reinterpret this classic in a way that speaks to the next generation, while being respectful to the richness of the original story." The Wolf and Peter, CoisCéim's first dance show for children, will receive its world premiere in the Town Hall Theatre from October 15 to 18. It will feature pianist Conor Linehan playing both the classic score by Prokofiev, as well as his own compositions. There will be five dancers on-stage. “This show is all about firsts," said Baboró executive artistic director Aislinn ÓhEocha. "It will be CoisCéim’s debut at Baboró, its first dance piece for children, and a world premiere. This is one for the whole family."